Current Nintendo hardware uses the company’s own proprietary operating systems. But according to Nikkei, one of Japan’s largest newspapers, that will soon change. 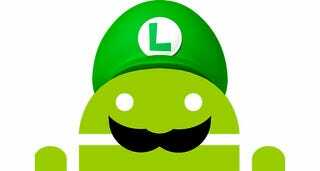 One insider tells the paper that the NX will supposedly be built around the Android OS. The NX is Nintendo’s codename for its upcoming console. We don’t know much about the NX, other than it will “surprise” people. Oh, and Nintendo is mulling over the idea of making the NX region-free. We now might know a little more if, this rumor is true. An insider tells Nikkei that the NX’s “operating system is loaded with Android.” The same insider continued, “This would be able to speed up getting all game developers on board.” It would also mean that development could be expanded to smartphones, tablets, and other devices, this insider added. Given how Android is normally employed, if what this insider says is correct it’s likely the NX’s OS will simply be based on Android (similar to the Ouya), not a direct implementation of the same software normally found on phones and tablets. The Nikkei article explains that the apparent reason for this move is the Wii U is not compatible with other game machines. So it’s hard for developers to make back money on a title’s development costs when they have to create it specifically for one console. They can’t easily do a multi-platform release like they could on Xbox One, PS4, and PC. Still, an unconfirmed report is still a rumor. Kotaku has reached out to Nintendo for comment.